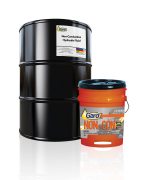 Gard™ Non-Con Hydraulic Fluid is a stabilized non-zinc ashless anti-wear hydraulic fluid. Gard™ GardWay™ Machine Way Lubricants are formulated to meet the tough requirements in a manufacturing environment. Gard™ TurbineGard™ R&O Lubricants are formulated using premium quality oils to meet the tough demands of gas, steam, and hydroelectric turbines. Gard™ Steam Cylinder Oil is engineered from hydro-treated base oils and fortified with extreme pressure additives for use in industrial applications. Gard™ Starting Fluid is blended from top-quality base oils and additives to help kick-start your engine. Gard™ SilverGard™ Railroad Engine Oil fully protects GE and EMD engines designed for use with low sulphur and ultra-low sulphur fuels. Gard™ SawGard™ Oil provides top-quality lubrication and cleaning properties on modern high speed lumber cutting machinery. Gard™ Refrigeration Compressor Oil l is designed for use in refrigeration compressors utilizing ammonia, CFC, and HCFCs. Gard™ Premium Non-Zinc Anti-Wear Hydraulic Fluid uses ashless anti-wear additive technology for use in hydraulic pumps, valves, motors, and cylinders. Gard™ Premium Anti-Wear (AW) ISO Hydraulic Oils protect, lubricate, and effectively transfer power in high pressure and high heat engines. 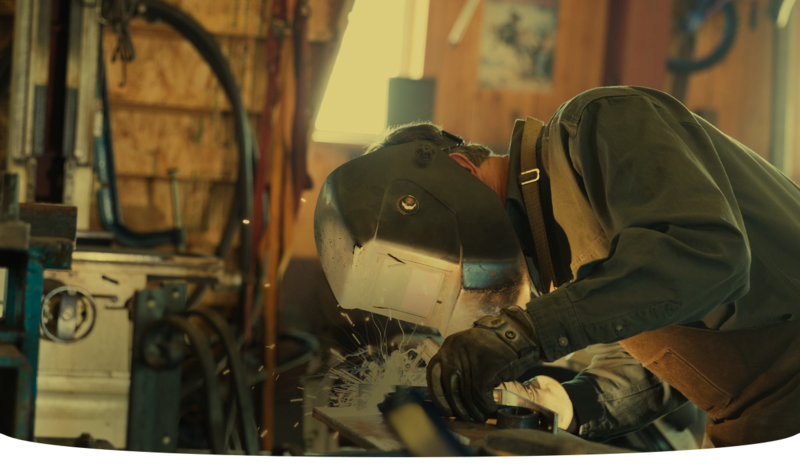 Gard™ Multi-Purpose EP #2 Lithium Grease provides extreme pressure protection in parts subjected to high pressure and shock loading. Gard™ Safegard™ Low Ash Natural Gas Engine Oil uses OEM approved additives to meet the tough demands of natural gas engines. Gard™ HydraGard™ Compressor Oil uses antiwear additives providing maximum performance for air and gas compressor pistons, bearings, and valves. Gard™ General Purpose #2 Grease is premium quality, general purpose grease engineered from fully refined stock and superior lithium soap. Gard™ Heat Transfer Oil is blended for long service life with a high resistance to oxidation and thermal stability. Gard™ GardGear™ Extreme Pressure Gear Oil is blended with highly refined base stocks, EP additives, and rust, oxidation, and foam inhibitors. Gard™ GardForm™ Concrete Release Oil uses non-staining base oils and clean releasing additives to allow easy removal of concrete forms. GardCut™ Tri-Purpose Cutting Fluid is premium non-corrosive tri-purpose oil that can be used as a cutting fluid, hydraulic fluid, and gear lubricant. Gard™ Safegard™ Ashless Natural Gas Engine Oil uses ashless additive technology to protect NGEO engine parts.